Support independent headphone monitoring and mobile phone intelligent analysis of heart and lung tone. Can be used independently to replace the traditional stethoscope, support intelligent auscultation diagnosis with mobile phone also. It can monitor the health condition of the breathing system by stethoscope. 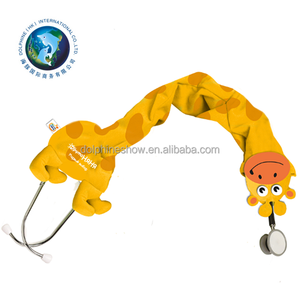 Cute colourful pinard stethoscope (for doctor and nurse made in Japan). SPECIFICATION I mproyed stethoscope comes a a complete set with the following components, 1.Chestpiece with large and small diaphragm - 1 pc 2.Binaurals,chrome plated with white plastic medium size eartips - 1 pair 3.Heavy wall tubing with metal clip - 1 pair 4.Interchangeable bell type chestpiece,adult size - 1 pc 5.Interchangeable bell type chestpiece,medium size - 1 pc 6.Interchangeable bell type chestpiece,infant size - 1 pc 7.Spare eartips, large and small size - 2 pairs 8.Spare transparent plastic diaphragms, large and small - 2 pcs 9.Plastic container for accessories - 1 pc Product Name stethoscope medical equipment Model Number S4 Chest piece Zinc alloy,dual head ear piece Aluminum Y tube PVC,two tube Accessory Extra accessory bag(three different size bells, two pairs ear tips,two pieces diaphragm) Color black,blue,green,grey,red,pink,yellow etc Outer packing 50PCS/CTN GW 19KGS Carton size 63*52.5*24.5cm Packaging & Shipping 1. Our Brand Gift Box package 2. Custom Logo gift box package 1.Small Orders: T/T,Western Union,Money Gram,Paypal,Alipay,Escrow,Credit Card etc. 2.Large deposit before bulk production, 70% balance paid before shipment. The precision fi nishing of the double chest-piece guarantees high acoustic performance. &bull; Precision double chest-piece made of stainless steel. 4220-04 red No. We can provide you a sample according to your specification. 2.You can send us a sample, we can give you a counter sample according to your sample. We can give you a sample and price according to your specification . Multi-function Stethoscope CMS-M Instructions SW -M is a kind of multi-functional visual stethoscope It is added with collection ECG waveform function on the basis of the traditional medicinal stethoscope. It can display the heart rate, the pulse oxygen Saturation and pulse rate can also be monitored through SpO2 probe. Measurement Performance in Weak Filling Condition SpO2 and pulse rate can be shown orrectly when pulse-filling ratio is 0.4%. The product is applicable for family, hospital, private Clinique, community medical treatment.etc. Measurement Performance in Weak Filling Condition: SpO2 and pulse rate can be shown orrectly when pulse-filling ratio is 0.4%. SpO2 error is &plusmn; 4%, pulse rate error is &plusmn;2 bpm or &plusmn;2% (select larger). 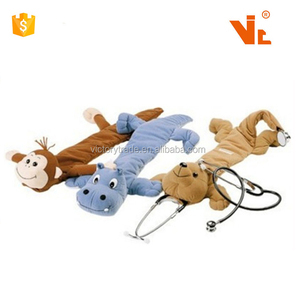 Alibaba.com offers 312 cute stethoscope products. About 54% of these are stethoscope, 3% are blood pressure monitor, and 1% are thermometer. 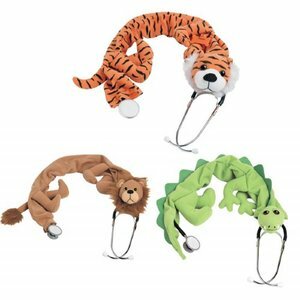 A wide variety of cute stethoscope options are available to you, such as stethoscope, blood pressure monitor, and thermometer. You can also choose from free samples, paid samples. There are 312 cute stethoscope suppliers, mainly located in Asia. The top supplying countries are China (Mainland), Pakistan, and Japan, which supply 85%, 6%, and 5% of cute stethoscope respectively. 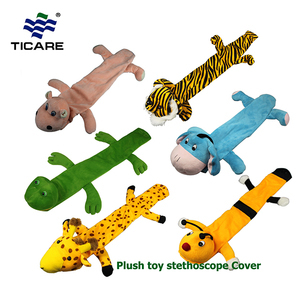 Cute stethoscope products are most popular in Western Europe, North America, and Domestic Market. You can ensure product safety by selecting from certified suppliers, including 114 with ISO13485, 101 with ISO9001, and 56 with ISO14001 certification.